President Vladimir Putin says Russian and other security services thwarted nearly 25 million cyberattacks linked to the World Cup. 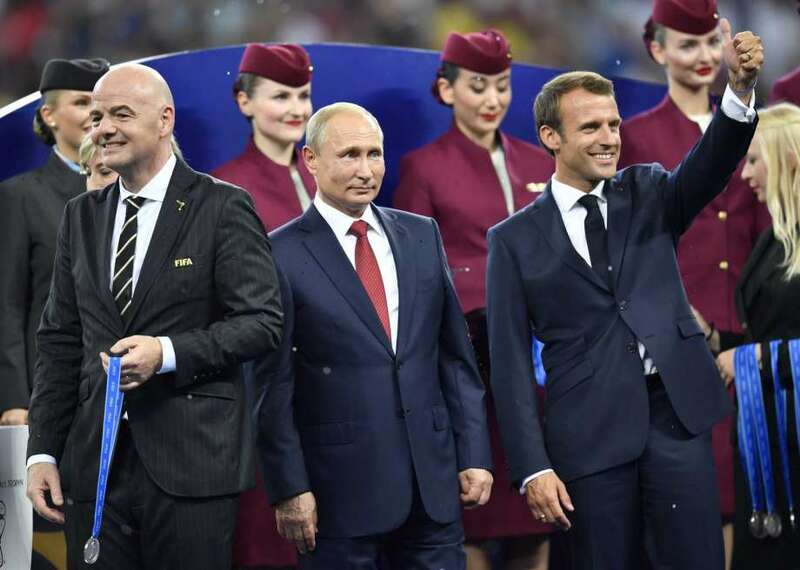 Putin announced the foiled attacks after Sunday’s World Cup final - and just before meeting with US president Donald Trump, who is facing growing concerns about alleged Kremlin meddling and Russian cyberattacks on the US electoral system. In remarks released Monday by the Kremlin, Putin said the attempted cyberattacks targeted “information infrastructure” linked to the World Cup, but did not elaborate. He spoke at a meeting with representatives of 55 intelligence units from 34 countries who worked on securing the tournament. Putin’s leadership has been marked by his strengthening of the country’s security services.